We are a leading Wholesaler of ip cctv outdoor camera - 1.3mp, ip indoor cctv camera - 1.3mp, ip cctv outdoor camera - 2.2mp, outdoor varifocal zooming camera, indoor ip camera - 2.2mp and outdoor ip camera - 2.2mp from Coimbatore, India. This iV-Pro Model : iV-CA4W-iP2-POE is a Pro Metal Outdoor 1.3 Megapixel 960p iP-HD POE Security Camera with “ THE NEXT GENERATION APTINA X SERIES IMAGE PROCESSING SOLUTION ” engineered to provide extremely crisp and clear images at minimal bandwidth. The Ultra Series includes a wide range of high performance IR Array cameras that are built to deliver exceptional video images with true vivid colors and wide and clearer night vision, thanks to the new Array IR technology that promises better results and a longer life span over any Cat6 Cable with iV-Pro s POE Switches which can achieve a distance of up to 100 Meters to 250 Meters including long distance transmission of up to 20 Kilometers using Fiber Optic Cables with iV-Pro s Fiber Port Switches. This iV-Pro Model : iV-D21VW-iP2-POE is a is a Ultra Vandal Metal 1.3 Megapixel 960p iP-HD POE Security Camera with " THE NEXT GENERATION APTINA X SERIES IMAGE PROCESSING SOLUTION" engineered to provide extremely crisp and clear images at minimal bandwidth. The Ultra Series includes a wide range of high performance IR Array cameras that are built to deliver exceptional video images with true vivid colors and wide and clearer night vision, thanks to the new Array IR technology that promises better results and a longer life span over any Cat6 Cable with iV-Pro s POE Switches which can achieve a distance of up to 100 Meters to 250 Meters including long distance transmission of up to 20 Kilometers using Fiber Optic Cables with iV-Pro s Fiber Port Switches. We Are The Leading Manufacturer And Suppliers of IP D21VW-iP2-POE-1.3MP Megapixel Camera White in South India Such As Thiruvallur, Chennai, Kancheepuram, Vellore, Thiruvannamalai, Krishnagiri, Dharamapuri, Villipuram, Cuddalore, Salem, Erode, Namakal, Perambalur, Nilgiris, Coimbatore, Tiruppur, Karur, Tiruchchirapalli, Ariyalur, Nagapattinam, Thanjavur, Thiruvarur, Nagapattinam, Pudukkotai, Dindigul, Theni, Madurai, Sivagangai, Ramanathapuram, Virudunagar, Tirunelveli, Thoothukudi, Kanniyakumari, Hosur, Rajapalayam, Puduchcheri, Kerala. 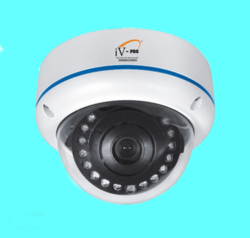 This iV-Pro Model : iV-CA2BWK-iP3-POE is a Pro Metal Outdoor 2.2 Megapixel 1080p Full iP-HD POE Security Camera with “ THE NEXT GENERATION SONY IMX 323 SERIES IMAGE PROCESSING SOLUTION “ engineered to provide extremely crisp and clear images at minimal bandwidth. The Ultra Series includes a wide range of high performance IR Array cameras that are built to deliver exceptional video images with true vivid colors and wide and clearer night vision, thanks to the new Array IR technology that promises better results and a longer life span over any Cat6 Cable with iV-Pro s POE Switches which can achieve a distance of up to 100 Meters to 250 Meters including long distance transmission of up to 20 Kilometers using Fiber Optic Cables with iV-Pro s Fiber Port Switches. 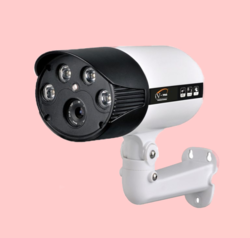 We Are The Leading Manufacturer And Suppliers of this IP CA2BWK-IP3- IP3 – POE – 2.2 Megapixel Camera in South India Such As Thiruvallur, Chennai, Kancheepuram, Vellore, Thiruvannamalai, Krishnagiri, Dharamapuri, Villipuram, Cuddalore, Salem, Erode, Namakal, Perambalur, Nilgiris, Coimbatore, Tiruppur, Karur, Tiruchchirapalli, Ariyalur, Nagapattinam, Thanjavur, Thiruvarur, Nagapattinam, Pudukkotai, Dindigul, Theni, Madurai, Sivagangai, Ramanathapuram, Virudunagar, Tirunelveli, Thoothukudi, Kanyakumari, Hosur, Rajapalayam, Puduchery, Kerala. This iV-Pro Model iV-CA4R-VFM22-iP3-POE is a Ultra 2 Megapixel 1080p Full iP-HD POE Security Camera with " THE NEXT GENERATION SONY IMX 323 SERIES IMAGE PROCESSING SOLUTION " engineered to provide extremely crisp and clear images at minimal bandwidth. The Ultra Series includes a wide range of high performance IR Array cameras that are built to deliver exceptional video images with true vivid colors and wide and clearer night vision, thanks to the new Array IR technology that promises better results and a longer life span over any Cat6 Cable with iV-Pro s POE Switches which can achieve a distance of up to 100 Meters to 250 Meters including long distance transmission of up to 20 Kilometers using Fiber Optic Cables with iV-Pro s Fiber Port Switches. 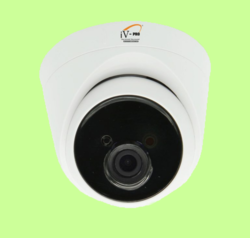 We Are The Leading Manufacturer And Suppliers of this IP CA4R-VFM22-iP3-POE - 2.0MP Megapixel Camera in South India Such As Thiruvallur, Chennai, Kancheepuram, Vellore, Thiruvannamalai, Krishnagiri, Dharamapuri, Villipuram, Cuddalore, Salem, Erode, Namakal, Perambalur, Nilgiris, Coimbatore, Tiruppur, Karur, Tiruchchirapalli, Ariyalur, Nagapattinam, Thanjavur, Thiruvarur, Nagapattinam, Pudukkotai, Dindigul, Theni, Madurai, Sivagangai, Ramanathapuram, Virudunagar, Tirunelveli, Thoothukudi, Kanyakumari, Hosur, Rajapalayam, Puduchery, Kerala. This iV-Pro Model : iV-DA2BK-iP3-POE is a Ultra Metal 2.2 Megapixel 1080p Full iP-HD POE Security Camera with “ THE NEXT GENERATION SONY IMX 323 SERIES IMAGE PROCESSING SOLUTION” engineered to provide extremely crisp and clear images at minimal bandwidth. The Ultra Series includes a wide range of high performance IR Array cameras that are built to deliver exceptional video images with true vivid colors and wide and clearer night vision, thanks to the new Array IR technology that promises better results and a longer life span over any Cat6 Cable with iV-Pro s POE Switches which can achieve a distance of up to 100 Meters to 250 Meters including long distance transmission of up to 20 Kilometers using Fiber Optic Cables with iV-Pro s Fiber Port Switches. 2.2 Megapixel 1080p Full HD Resolution High Power Array up to 30 Meters. 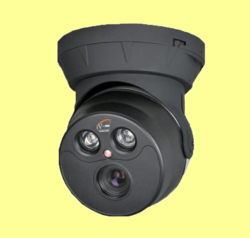 We Are The Leading Manufacturer And Suppliers of this IP DA2BK- IP3 – POE – 2.2 Megapixel Camera in South India Such As Thiruvallur, Chennai, Kancheepuram, Vellore, Thiruvannamalai, Krishnagiri, Dharamapuri, Villipuram, Cuddalore, Salem, Erode, Namakal, Perambalur, Nilgiris, Coimbatore, Tiruppur, Karur, Tiruchchirapalli, Ariyalur, Nagapattinam, Thanjavur, Thiruvarur, Nagapattinam, Pudukkotai, Dindigul, Theni, Madurai, Sivagangai, Ramanathapuram, Virudunagar, Tirunelveli, Thoothukudi, Kanniyakumari, Hosur, Rajapalayam, Puduchcheri, Kerala. This iV-Pro Model : iV-D21VW-iP3-POE is a is a Ultra Vandal Metal 2.2 Megapixel 1080p Full iP-HD POE Security Camera with “THE NEXT GENERATION SONY IMX 323 SERIES IMAGE PROCESSING SOLUTION” engineered to provide extremely crisp and clear images at minimal bandwidth. The Ultra Series includes a wide range of high performance IR Array cameras that are built to deliver exceptional video images with true vivid colors and wide and clearer night vision, thanks to the new Array IR technology that promises better results and a longer life span over any Cat6 Cable with iV-Pro s POE Switches which can achieve a distance of up to 100 Meters to 250 Meters including long distance transmission of up to 20 Kilometers using Fiber Optic Cables with iV-Pro s Fiber Port Switches. 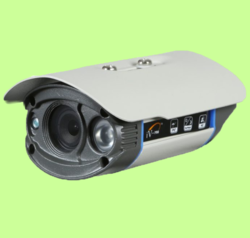 We Are The Leading Manufacturer And Suppliers of this IP D21VW IP3 – POE – 2.2 Megapixel Camera in South India Such As Thiruvallur, Chennai, Kancheepuram, Vellore, Thiruvannamalai, Krishnagiri, Dharamapuri, Villipuram, Cuddalore, Salem, Erode, Namakal, Perambalur, Nilgiris, Coimbatore, Tiruppur, Karur, Tiruchchirapalli, Ariyalur, Nagapattinam, Thanjavur, Thiruvarur, Nagapattinam, Pudukkotai, Dindigul, Theni, Madurai, Sivagangai, Ramanathapuram, Virudunagar, Tirunelveli, Thoothukudi, Kanniyakumari, Hosur, Rajapalayam, Puduchcheri, Kerala. IR Range 700 TVL , Analog 960 H.
This iV-Pro Model : iV-CA4W-iP3-POE is a Pro Metal Outdoor 2.2 Megapixel 1080p Full iP-HD POE Security Camera with “ THE NEXT GENERATION SONY IMX 323 SERIES IMAGE PROCESSING SOLUTION “ engineered to provide extremely crisp and clear images at minimal bandwidth. The Ultra Series includes a wide range of high performance IR Array cameras that are built to deliver exceptional video images with true vivid colors and wide and clearer night vision, thanks to the new Array IR technology that promises better results and a longer life span over any Cat6 Cable with iV-Pro s POE Switches which can achieve a distance of up to 100 Meters to 250 Meters including long distance transmission of up to 20 Kilometers using Fiber Optic Cables with iV-Pro s Fiber Port Switches. 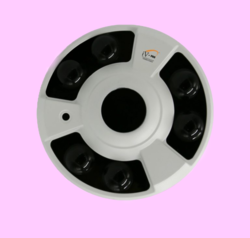 We Are The Leading Manufacturer And Suppliers of this IP CA4W - IP3 – POE – 2.2 Megapixel Camera in South India Such As Thiruvallur, Chennai, Kancheepuram, Vellore, Thiruvannamalai, Krishnagiri, Dharamapuri, Villipuram, Cuddalore, Salem, Erode, Namakal, Perambalur, Nilgiris, Coimbatore, Tiruppur, Karur, Tiruchchirapalli, Ariyalur, Nagapattinam, Thanjavur, Thiruvarur, Nagapattinam, Pudukkotai, Dindigul, Theni, Madurai, Sivagangai, Ramanathapuram, Virudunagar, Tirunelveli, Thoothukudi, Kanyakumari, Hosur, Rajapalayam, Puduchery, Kerala. This iV-Pro Model : iV-CA6W-iP3-POE is a Pro Metal Outdoor 2.2 Megapixel 1080p Full iP-HD POE Security Camera with “ THE NEXT GENERATION SONY IMX 323 SERIES IMAGE PROCESSING SOLUTION “ engineered to provide extremely crisp and clear images at minimal bandwidth. The Ultra Series includes a wide range of high performance IR Array cameras that are built to deliver exceptional video images with true vivid colors and wide and clearer night vision, thanks to the new Array IR technology that promises better results and a longer life span over any Cat6 Cable with iV-Pro s POE Switches which can achieve a distance of up to 100 Meters to 250 Meters including long distance transmission of up to 20 Kilometers using Fiber Optic Cables with iV-Pro s Fiber Port Switches. 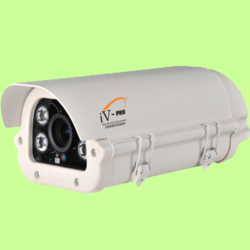 We Are The Leading Manufacturer And Suppliers of this IP CA6W- IP3 – POE – 2.2 Megapixel Camera in South India Such As Thiruvallur, Chennai, Kancheepuram, Vellore, Thiruvannamalai, Krishnagiri, Dharamapuri, Villipuram, Cuddalore, Salem, Erode, Namakal, Perambalur, Nilgiris, Coimbatore, Tiruppur, Karur, Tiruchchirapalli, Ariyalur, Nagapattinam, Thanjavur, Thiruvarur, Nagapattinam, Pudukkotai, Dindigul, Theni, Madurai, Sivagangai, Ramanathapuram, Virudunagar, Tirunelveli, Thoothukudi, Kanyakumari, Hosur, Rajapalayam, Puduchery, Kerala. This iV-Pro Model : iV-CA4BWK-iP3-POE is a Pro Metal Outdoor 2.2 Megapixel 1080p Full iP-HD POE Security Camera with “ THE NEXT GENERATION SONY IMX 323 SERIES IMAGE PROCESSING SOLUTION” engineered to provide extremely crisp and clear images at minimal bandwidth. The Ultra Series includes a wide range of high performance IR Array cameras that are built to deliver exceptional video images with true vivid colors and wide and clearer night vision, thanks to the new Array IR technology that promises better results and a longer life span over any Cat6 Cable with iV-Pro s POE Switches which can achieve a distance of up to 100 Meters to 250 Meters including long distance transmission of up to 20 Kilometers using Fiber Optic Cables with iV-Pro s Fiber Port Switches. 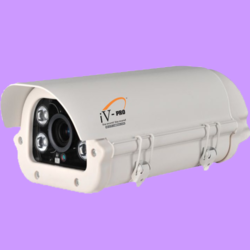 We Are The Leading Manufacturer And Suppliers of this IP CA4BWK- IP3 – POE – 2.2 Megapixel Camera in South India Such As Thiruvallur, Chennai, Kancheepuram, Vellore, Thiruvannamalai, Krishnagiri, Dharamapuri, Villipuram, Cuddalore, Salem, Erode, Namakal, Perambalur, Nilgiris, Coimbatore, Tiruppur, Karur, Tiruchchirapalli, Ariyalur, Nagapattinam, Thanjavur, Thiruvarur, Nagapattinam, Pudukkotai, Dindigul, Theni, Madurai, Sivagangai, Ramanathapuram, Virudunagar, Tirunelveli, Thoothukudi, Kanyakumari, Hosur, Rajapalayam, Puduchery, Kerala. This iV-Pro Model iV-D21VW-VFM-iP3-POE is a Ultra 2 Megapixel 1080p Full iP-HD POE Security Camera with " THE NEXT GENERATION SONY IMX 323 SERIES IMAGE PROCESSING SOLUTION " engineered to provide extremely crisp and clear images at minimal bandwidth. The Ultra Series includes a wide range of high performance IR Array cameras that are built to deliver exceptional video images with true vivid colors and wide and clearer night vision, thanks to the new Array IR technology that promises better results and a longer life span over any Cat6 Cable with iV-Pro s POE Switches which can achieve a distance of up to 100 Meters to 250 Meters including long distance transmission of up to 20 Kilometers using Fiber Optic Cables with iV-Pro s Fiber Port Switches. 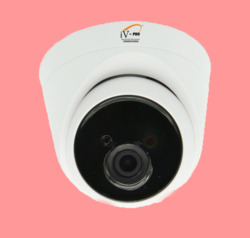 We Are The Leading Manufacturer And Suppliers of this IP D21VW-VFM- IP3 - POE - 2.0 Megapixel Camera in South India Such As Thiruvallur, Chennai, Kancheepuram, Vellore, Thiruvannamalai, Krishnagiri, Dharamapuri, Villipuram, Cuddalore, Salem, Erode, Namakal, Perambalur, Nilgiris, Coimbatore, Tiruppur, Karur, Tiruchchirapalli, Ariyalur, Nagapattinam, Thanjavur, Thiruvarur, Nagapattinam, Pudukkotai, Dindigul, Theni, Madurai, Sivagangai, Ramanathapuram, Virudunagar, Tirunelveli, Thoothukudi, Kanyakumari, Hosur, Rajapalayam, Puduchery, Kerala. This iV-Pro Model : iV-DA2W-iP3-POE is a Ultra 2.2 Megapixel 1080p Full iP-HD POE Security Camera with “ THE NEXT GENERATION SONY IMX 323 SERIES IMAGE PROCESSING SOLUTION” engineered to provide extremely crisp and clear images at minimal bandwidth. The Ultra Series includes a wide range of high performance IR Array cameras that are built to deliver exceptional video images with true vivid colors and wide and clearer night vision, thanks to the new Array IR technology that promises better results and a longer life span over any Cat6 Cable with iV-Pro s POE Switches which can achieve a distance of up to 100 Meters to 250 Meters including long distance transmission of up to 20 Kilometers using Fiber Optic Cables with iV-Pro s Fiber Port Switches. 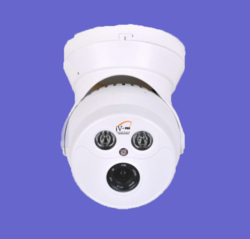 We Are The Leading Manufacturer And Suppliers of this IP DA2W- IP3 – POE – 2.2 Megapixel Camera in South India Such As Thiruvallur, Chennai, Kancheepuram, Vellore, Thiruvannamalai, Krishnagiri, Dharamapuri, Villipuram, Cuddalore, Salem, Erode, Namakal, Perambalur, Nilgiris, Coimbatore, Tiruppur, Karur, Tiruchchirapalli, Ariyalur, Nagapattinam, Thanjavur, Thiruvarur, Nagapattinam, Pudukkotai, Dindigul, Theni, Madurai, Sivagangai, Ramanathapuram, Virudunagar, Tirunelveli, Thoothukudi, Kanniyakumari, Hosur, Rajapalayam, Puduchcheri, Kerala. This iV-Pro Model iV-CA4R-VF22-iP3-POE is a Ultra 2 Megapixel 1080p Full iP-HD POE Security Camera with " THE NEXT GENERATION SONY IMX 323 SERIES IMAGE PROCESSING SOLUTION" Engineered to provide extremely crisp and clear images at minimal bandwidth. The Ultra Series includes a wide range of high performance IR Array cameras that are built to deliver exceptional video images with true vivid colors and wide and clearer night vision, thanks to the new Array IR technology that promises better results and a longer life span over any Cat6 Cable with iV-Pro s POE Switches which can achieve a distance of up to 100 Meters to 250 Meters including long distance transmission of up to 20 Kilometers using Fiber Optic Cables with iV-Pro s Fiber Port Switches. We Are The Leading Manufacturer And Suppliers ofthis IP CA4R- -VF22- IP3 - POE - 2.0 Megapixel Camera in South India Such As Thiruvallur, Chennai, Kancheepuram, Vellore, Thiruvannamalai, Krishnagiri, Dharamapuri, Villipuram, Cuddalore, Salem, Erode, Namakal, Perambalur, Nilgiris, Coimbatore, Tiruppur, Karur, Tiruchchirapalli, Ariyalur, Nagapattinam, Thanjavur, Thiruvarur, Nagapattinam, Pudukkotai, Dindigul, Theni, Madurai, Sivagangai, Ramanathapuram, Virudunagar, Tirunelveli, Thoothukudi, Kanyakumari, Hosur, Rajapalayam, Puduchery, Kerala. This iV-Pro Model : iV-CA2FH-iP2-POE is a Pro Metal Outdoor 1.3 Megapixel 960p iP-HD POE Security Camera with “ THE NEXT GENERATION APTINA X SERIES IMAGE PROCESSING SOLUTION “ engineered to provide extremely crisp and clear images at minimal bandwidth. The Ultra Series includes a wide range of high performance IR Array cameras that are built to deliver exceptional video images with true vivid colors and wide and clearer night vision, thanks to the new Array IR technology that promises better results and a longer life span over any Cat6 Cable with iV-Pro s POE Switches which can achieve a distance of up to 100 Meters to 250 Meters including long distance transmission of up to 20 Kilometers using Fiber Optic Cables with iV-Pro s Fiber Port Switches. This iV-Pro Model : iV-CA1FH-iP2-POE is a Pro Metal Outdoor 1.3 Megapixel 960p iP-HD POE Security Camera with “ THE NEXT GENERATION APTINA X SERIES IMAGE PROCESSING SOLUTION” engineered to provide extremely crisp and clear images at minimal bandwidth. The Ultra Series includes a wide range of high performance IR Array cameras that are built to deliver exceptional video images with true vivid colors and wide and clearer night vision, thanks to the new Array IR technology that promises better results and a longer life span over any Cat6 Cable with iV-Pro s POE Switches which can achieve a distance of up to 100 Meters to 250 Meters including long distance transmission of up to 20 Kilometers using Fiber Optic Cables with iV-Pro s Fiber Port Switches. This iV-Pro Model : iV-DA1W-iP2-POE is a Ultra 1.3 Megapixel 960p iP-HD POE Security Camera with " THE NEXT GENERATION APTINA X SERIES IMAGE PROCESSING SOLUTION" engineered to provide extremely crisp and clear images at minimal bandwidth. The Ultra Series includes a wide range of high performance IR Array cameras that are built to deliver exceptional video images with true vivid colors and wide and clearer night vision, thanks to the new Array IR technology that promises better results and a longer life span over any Cat6 Cable with iV-Pro s POE Switches which can achieve a distance of up to 100 Meters to 250 Meters including long distance transmission of up to 20 Kilometers using Fiber Optic Cables with iV-Pro s Fiber Port Switches. We Are The Leading Manufacturer And Suppliers of this IP DA1W- IP2 – POE – 1.3 Megapixel Camera in South India Such As Thiruvallur, Chennai, Kancheepuram, Vellore, Thiruvannamalai, Krishnagiri, Dharamapuri, Villipuram, Cuddalore, Salem, Erode, Namakal, Perambalur, Nilgiris, Coimbatore, Tiruppur, Karur, Tiruchchirapalli, Ariyalur, Nagapattinam, Thanjavur, Thiruvarur, Nagapattinam, Pudukkotai, Dindigul, Theni, Madurai, Sivagangai, Ramanathapuram, Virudunagar, Tirunelveli, Thoothukudi, Kanyakumari, Hosur, Rajapalayam, Puduchchery, Kerala. This iV-Pro Model : iV-DA6FH-iP2-POE is a Pro Metal 1.3 Megapixel 960p iP-HD POE Security Camera with "THE NEXT GENERATION APTINA X SERIES IMAGE PROCESSING SOLUTION" engineered to provide extremely crisp and clear images at minimal bandwidth. The Ultra Series includes a wide range of high performance IR Array cameras that are built to deliver exceptional video images with true vivid colors and wide and clearer night vision, thanks to the new Array IR technology that promises better results and a longer life span over any Cat6 Cable with iV-Pro s POE Switches which can achieve a distance of up to 100 Meters to 250 Meters including long distance transmission of up to 20 Kilometers using Fiber Optic Cables with iV-Pro s Fiber Port Switches. This iV-Pro Model : iV-CA6W-iP2-POE is a Pro Metal Outdoor 1.3 Megapixel 960p iP-HD POE Security Camera with “ THE NEXT GENERATION APTINA X SERIES IMAGE PROCESSING SOLUTION ” engineered to provide extremely crisp and clear images at minimal bandwidth. The Ultra Series includes a wide range of high performance IR Array cameras that are built to deliver exceptional video images with true vivid colors and wide and clearer night vision, thanks to the new Array IR technology that promises better results and a longer life span over any Cat6 Cable with iV-Pro s POE Switches which can achieve a distance of up to 100 Meters to 250 Meters including long distance transmission of up to 20 Kilometers using Fiber Optic Cables with iV-Pro s Fiber Port Switches. This iV-Pro Model : iV-DA1W-iP3-POE is a Ultra 2.2 Megapixel 1080p Full iP-HD POE Security Camera with “ THE NEXT GENERATION SONY IMX 323 SERIES IMAGE PROCESSING SOLUTION “ engineered to provide extremely crisp and clear images at minimal bandwidth. The Ultra Series includes a wide range of high performance IR Array cameras that are built to deliver exceptional video images with true vivid colors and wide and clearer night vision, thanks to the new Array IR technology that promises better results and a longer life span over any Cat6 Cable with iV-Pro s POE Switches which can achieve a distance of up to 100 Meters to 250 Meters including long distance transmission of up to 20 Kilometers using Fiber Optic Cables with iV-Pro s Fiber Port Switches. 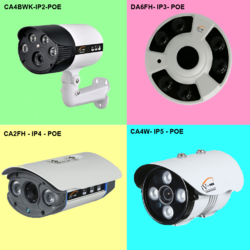 We Are The Leading Manufacturer And Suppliers of this IP DA1W- IP3 – POE – 2.2 Megapixel Camera in South India Such As Thiruvallur, Chennai, Kancheepuram, Vellore, Thiruvannamalai, Krishnagiri, Dharamapuri, Villipuram, Cuddalore, Salem, Erode, Namakal, Perambalur, Nilgiris, Coimbatore, Tiruppur, Karur, Tiruchchirapalli, Ariyalur, Nagapattinam, Thanjavur, Thiruvarur, Nagapattinam, Pudukkotai, Dindigul, Theni, Madurai, Sivagangai, Ramanathapuram, Virudunagar, Tirunelveli, Thoothukudi, Kanyakumari, Hosur, Rajapalayam, Puduchery, Kerala. This iV-Pro Model iV-CA4BWK-VFM-iP3-POE is a Ultra 2 Megapixel 1080p Full iP-HD POE Security Camera with " THE NEXT GENERATION SONY IMX 323 SERIES IMAGE PROCESSING SOLUTION" engineered to provide extremely crisp and clear images at minimal bandwidth. The Ultra Series includes a wide range of high performance IR Array cameras that are built to deliver exceptional video images with true vivid colors and wide and clearer night vision, thanks to the new Array IR technology that promises better results and a longer life span over any Cat6 Cable with iV-Pro s POE Switches which can achieve a distance of up to 100 Meters to 250 Meters including long distance transmission of up to 20 Kilometers using Fiber Optic Cables with iV-Pro s Fiber Port Switches. We Are The Leading Manufacturer And Suppliers of this IP CA4BWK -VFM22- IP3 - POE - 2.0 Megapixel Camera in South India Such As Thiruvallur, Chennai, Kancheepuram, Vellore, Thiruvannamalai, Krishnagiri, Dharamapuri, Villipuram, Cuddalore, Salem, Erode, Namakal, Perambalur, Nilgiris, Coimbatore, Tiruppur, Karur, Tiruchchirapalli, Ariyalur, Nagapattinam, Thanjavur, Thiruvarur, Nagapattinam, Pudukkotai, Dindigul, Theni, Madurai, Sivagangai, Ramanathapuram, Virudunagar, Tirunelveli, Thoothukudi, Kanyakumari, Hosur, Rajapalayam, Puduchery, Kerala. This iV-Pro Model iV-CA4R-VF50-iP3-POE is a Ultra 2 Megapixel 1080p Full iP-HD POE Security Camera with " THE NEXT GENERATION SONY IMX 323 SERIES IMAGE PROCESSING SOLUTION" engineered to provide extremely crisp and clear images at minimal bandwidth. The Ultra Series includes a wide range of high performance IR Array cameras that are built to deliver exceptional video images with true vivid colors and wide and clearer night vision, thanks to the new Array IR technology that promises better results and a longer life span over any Cat6 Cable with iV-Pro s POE Switches which can achieve a distance of up to 100 Meters to 250 Meters including long distance transmission of up to 20 Kilometers using Fiber Optic Cables with iV-Pro s Fiber Port Switches. 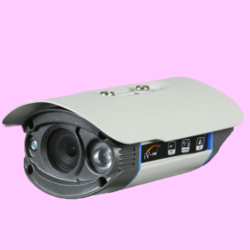 We Are The Leading Manufacturer And Suppliers ofthis IP CA4R-VF50- IP3 - POE - 2.0 Megapixel Camera in South India Such As Thiruvallur, Chennai, Kancheepuram, Vellore, Thiruvannamalai, Krishnagiri, Dharamapuri, Villipuram, Cuddalore, Salem, Erode, Namakal, Perambalur, Nilgiris, Coimbatore, Tiruppur, Karur, Tiruchchirapalli, Ariyalur, Nagapattinam, Thanjavur, Thiruvarur, Nagapattinam, Pudukkotai, Dindigul, Theni, Madurai, Sivagangai, Ramanathapuram, Virudunagar, Tirunelveli, Thoothukudi, Kanyakumari, Hosur, Rajapalayam, Puduchery, Kerala. 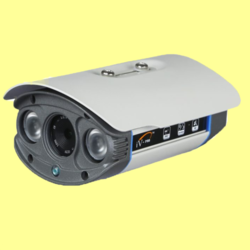 This iV-Pro Model : iV-CA2BWK-iP2-POE is a Pro Metal Outdoor 1.3 Megapixel 960p iP-HD POE Security Camera with “ THE NEXT GENERATION APTINA X SERIES IMAGE PROCESSING SOLUTION “ engineered to provide extremely crisp and clear images at minimal bandwidth. The Ultra Series includes a wide range of high performance IR Array cameras that are built to deliver exceptional video images with true vivid colors and wide and clearer night vision, thanks to the new Array IR technology that promises better results and a longer life span over any Cat6 Cable with iV-Pro s POE Switches which can achieve a distance of up to 100 Meters to 250 Meters including long distance transmission of up to 20 Kilometers using Fiber Optic Cables with iV-Pro s Fiber Port Switches. We Are The Leading Manufacturer And Suppliers of this CA2BWK – IP2 – POE - 1.3 Megapixel Camera in South India Such As Thiruvallur, Chennai, Kancheepuram, Vellore, Thiruvannamalai, Krishnagiri, Dharamapuri, Villipuram, Cuddalore, Salem, Erode, Namakal, Perambalur, Nilgiris, Coimbatore, Tiruppur, Karur, Tiruchchirapalli, Ariyalur, Nagapattinam, Thanjavur, Thiruvarur, Nagapattinam, Pudukkotai, Dindigul, Theni, Madurai, Sivagangai, Ramanathapuram, Virudunagar, Tirunelveli, Thoothukudi, Kanyakumari, Hosur, Rajapalayam, Puduchery, Kerala. This iV-Pro Model : iV-DA2W-iP2-POE is a Ultra 1.3 Megapixel 960p iP-HD POE Security Camera with " THE NEXT GENERATION APTINA X SERIES IMAGE PROCESSING SOLUTION" engineered to provide extremely crisp and clear images at minimal bandwidth. The Ultra Series includes a wide range of high performance IR Array cameras that are built to deliver exceptional video images with true vivid colors and wide and clearer night vision, thanks to the new Array IR technology that promises better results and a longer life span over any Cat6 Cable with iV-Pro s POE Switches which can achieve a distance of up to 100 Meters to 250 Meters including long distance transmission of up to 20 Kilometers using Fiber Optic Cables with iV-Pro s Fiber Port Switches. We Are The Leading Manufacturer And Suppliers of this IP DA2W- IP2 – POE – 1.3 Megapixel Camera in South India Such As Thiruvallur, Chennai, Kancheepuram, Vellore, Thiruvannamalai, Krishnagiri, Dharamapuri, Villipuram, Cuddalore, Salem, Erode, Namakal, Perambalur, Nilgiris, Coimbatore, Tiruppur, Karur, Tiruchchirapalli, Ariyalur, Nagapattinam, Thanjavur, Thiruvarur, Nagapattinam, Pudukkotai, Dindigul, Theni, Madurai, Sivagangai, Ramanathapuram, Virudunagar, Tirunelveli, Thoothukudi, Kanyakumari, Hosur, Rajapalayam, Puduchchery, Kerala. This iV-Pro Model : iV-CA2FH-VFM22-iP3-POE is a Ultra 2.2 Megapixel 1080p Full iP-HD POE Security Camera with “ THE NEXT GENERATION SONY IMX 323 SERIES IMAGE PROCESSING “ SOLUTION “ engineered to provide extremely crisp and clear images at minimal bandwidth. The Ultra Series includes a wide range of high performance IR Array cameras that are built to deliver exceptional video images with true vivid colors and wide and clearer night vision, thanks to the new Array IR technology that promises better results and a longer life span over any Cat6 Cable with iV-Pro s POE Switches which can achieve a distance of up to 100 Meters to 250 Meters including long distance transmission of up to 20 Kilometers using Fiber Optic Cables with iV-Pro s Fiber Port Switches. 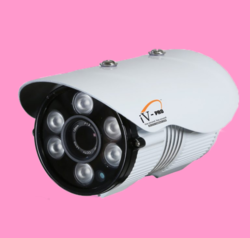 We Are The Leading Manufacturer And Suppliers of this IP CA2FH –VFM22- IP3 – POE – 2.2 Megapixel Camera in South India Such As Thiruvallur, Chennai, Kancheepuram, Vellore, Thiruvannamalai, Krishnagiri, Dharamapuri, Villipuram, Cuddalore, Salem, Erode, Namakal, Perambalur, Nilgiris, Coimbatore, Tiruppur, Karur, Tiruchchirapalli, Ariyalur, Nagapattinam, Thanjavur, Thiruvarur, Nagapattinam, Pudukkotai, Dindigul, Theni, Madurai, Sivagangai, Ramanathapuram, Virudunagar, Tirunelveli, Thoothukudi, Kanyakumari, Hosur, Rajapalayam, Puduchery, Kerala. This iV-Pro Model : iV-CA2FH-iP3-POE is a Pro Metal Outdoor 2.2 Megapixel 1080p Full iP-HD POE Security Camera with “ THE NEXT GENERATION SONY IMX 323 SERIES IMAGE PROCESSING SOLUTION “ engineered to provide extremely crisp and clear images at minimal bandwidth. The Ultra Series includes a wide range of high performance IR Array cameras that are built to deliver exceptional video images with true vivid colors and wide and clearer night vision, thanks to the new Array IR technology that promises better results and a longer life span over any Cat6 Cable with iV-Pro s POE Switches which can achieve a distance of up to 100 Meters to 250 Meters including long distance transmission of up to 20 Kilometers using Fiber Optic Cables with iV-Pro s Fiber Port Switches. 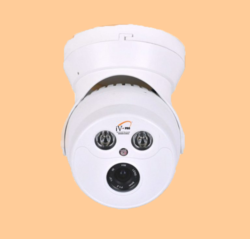 We Are The Leading Manufacturer And Suppliers of this IP CA2FH - IP3 – POE – 2.2 Megapixel Camera in South India Such As Thiruvallur, Chennai, Kancheepuram, Vellore, Thiruvannamalai, Krishnagiri, Dharamapuri, Villipuram, Cuddalore, Salem, Erode, Namakal, Perambalur, Nilgiris, Coimbatore, Tiruppur, Karur, Tiruchchirapalli, Ariyalur, Nagapattinam, Thanjavur, Thiruvarur, Nagapattinam, Pudukkotai, Dindigul, Theni, Madurai, Sivagangai, Ramanathapuram, Virudunagar, Tirunelveli, Thoothukudi, Kanyakumari, Hosur, Rajapalayam, Puduchery, Kerala. This iV-Pro Model iV-DA2WK-iP3-POE is a Pro Vandal Metal 2 Megapixel 1080p Full iP-HD POE Security Camera with " THE NEXT GENERATION SONY IMX 323 SERIES IMAGE PROCESSING SOLUTION" engineered to provide extremely crisp and clear images at minimal bandwidth. The Ultra Series includes a wide range of high performance IR Array cameras that are built to deliver exceptional video images with true vivid colors and wide and clearer night vision, thanks to the new Array IR technology that promises better results and a longer life span over any Cat6 Cable with iV-Pro s POE Switches which can achieve a distance of up to 100 Meters to 250 Meters including long distance transmission of up to 20 Kilometers using Fiber Optic Cables with iV-Pro s Fiber Port Switches. 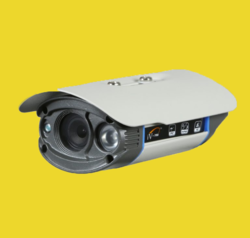 We Are The Leading Manufacturer And Suppliers of this IP DA2WK- IP3 - POE - 2.0 Megapixel Camera in South India Such As Thiruvallur, Chennai, Kancheepuram, Vellore, Thiruvannamalai, Krishnagiri, Dharamapuri, Villipuram, Cuddalore, Salem, Erode, Namakal, Perambalur, Nilgiris, Coimbatore, Tiruppur, Karur, Tiruchchirapalli, Ariyalur, Nagapattinam, Thanjavur, Thiruvarur, Nagapattinam, Pudukkotai, Dindigul, Theni, Madurai, Sivagangai, Ramanathapuram, Virudunagar, Tirunelveli, Thoothukudi, Kanyakumari, Hosur, Rajapalayam, Puduchery, Kerala. This iV-Pro Model : iV-CA1FH-VFM-iP3-POE is a Ultra 2.2 Megapixel 1080p Full iP-HD POE Security Camera with “ THE NEXT GENERATION SONY IMX 323 SERIES IMAGE PROCESSING SOLUTION” engineered to provide extremely crisp and clear images at minimal bandwidth. The Ultra Series includes a wide range of high performance IR Array cameras that are built to deliver exceptional video images with true vivid colors and wide and clearer night vision, thanks to the new Array IR technology that promises better results and a longer life span over any Cat6 Cable with iV-Pro s POE Switches which can achieve a distance of up to 100 Meters to 250 Meters including long distance transmission of up to 20 Kilometers using Fiber Optic Cables with iV-Pro s Fiber Port Switches. 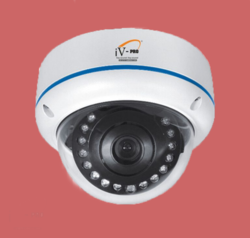 We Are The Leading Manufacturer And Suppliers of this IP CA1FH-VFM-IP3 – POE – 2.2 Megapixel Camera in South India Such As Thiruvallur, Chennai, Kancheepuram, Vellore, Thiruvannamalai, Krishnagiri, Dharamapuri, Villipuram, Cuddalore, Salem, Erode, Namakal, Perambalur, Nilgiris, Coimbatore, Tiruppur, Karur, Tiruchchirapalli, Ariyalur, Nagapattinam, Thanjavur, Thiruvarur, Nagapattinam, Pudukkotai, Dindigul, Theni, Madurai, Sivagangai, Ramanathapuram, Virudunagar, Tirunelveli, Thoothukudi, Kanyakumari, Hosur, Rajapalayam, Puduchery, Kerala. This iV-Pro Model : iV-DA2BK-iP2-POE is a Ultra Metal 1.3 Megapixel 960p iP-HD POE Security Camera with " THE NEXT GENERATION APTINA X SERIES IMAGE PROCESSING SOLUTION" engineered to provide extremely crisp and clear images at minimal bandwidth. The Ultra Series includes a wide range of high performance IR Array cameras that are built to deliver exceptional video images with true vivid colors and wide and clearer night vision, thanks to the new Array IR technology that promises better results and a longer life span over any Cat6 Cable with iV-Pro s POE Switches which can achieve a distance of up to 100 Meters to 250 Meters including long distance transmission of up to 20 Kilometers using Fiber Optic Cables with iV-Pro s Fiber Port Switches. 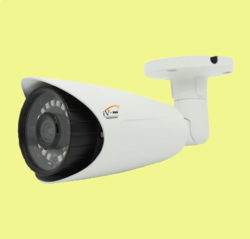 We Are The Leading Manufacturer And Suppliers of this IP DA2BK- IP2 – POE – 1.3 Megapixel Camera in South India Such As Thiruvallur, Chennai, Kancheepuram, Vellore, Thiruvannamalai, Krishnagiri, Dharamapuri, Villipuram, Cuddalore, Salem, Erode, Namakal, Perambalur, Nilgiris, Coimbatore, Tiruppur, Karur, Tiruchchirapalli, Ariyalur, Nagapattinam, Thanjavur, Thiruvarur, Nagapattinam, Pudukkotai, Dindigul, Theni, Madurai, Sivagangai, Ramanathapuram, Virudunagar, Tirunelveli, Thoothukudi, Kanyakumari, Hosur, Rajapalayam, Puduchchery, Kerala. This iV-Pro Model : iV-DA2WK-iP2-POE is a Pro Vandal Metal 1.3 Megapixel 960p iP-HD POE Security Camera with " THE NEXT GENERATION APTINA X SERIES IMAGE PROCESSING SOLUTION " engineered to provide extremely crisp and clear images at minimal bandwidth. The Ultra Series includes a wide range of high performance IR Array cameras that are built to deliver exceptional video images with true vivid colors and wide and clearer night vision, thanks to the new Array IR technology that promises better results and a longer life span over any Cat6 Cable with iV-Pro s POE Switches which can achieve a distance of up to 100 Meters to 250 Meters including long distance transmission of up to 20 Kilometers using Fiber Optic Cables with iV-Pro s Fiber Port Switches. We Are The Leading Manufacturer And Suppliers of this IP DA2WK- IP2 – POE – 1.3 Megapixel Camera in South India Such As Thiruvallur, Chennai, Kancheepuram, Vellore, Thiruvannamalai, Krishnagiri, Dharamapuri, Villipuram, Cuddalore, Salem, Erode, Namakal, Perambalur, Nilgiris, Coimbatore, Tiruppur, Karur, Tiruchchirapalli, Ariyalur, Nagapattinam, Thanjavur, Thiruvarur, Nagapattinam, Pudukkotai, Dindigul, Theni, Madurai, Sivagangai, Ramanathapuram, Virudunagar, Tirunelveli, Thoothukudi, Kanyakumari, Hosur, Rajapalayam, Puduchchery, Kerala. This iV-Pro Model : iV-C18W-iP2-POE is a Pro Metal Outdoor 1.3 Megapixel 960p iP-HD POE Security Camera with “ THE NEXT GENERATION APTINA X SERIES IMAGE PROCESSING SOLUTION” engineered to provide extremely crisp and clear images at minimal bandwidth. The Ultra Series includes a wide range of high performance IR Array cameras that are built to deliver exceptional video images with true vivid colors and wide and clearer night vision, thanks to the new Array IR technology that promises better results and a longer life span over any Cat6 Cable with iV-Pro s POE Switches which can achieve a distance of up to 100 Meters to 250 Meters including long distance transmission of up to 20 Kilometers using Fiber Optic Cables with iV-Pro s Fiber Port Switches. 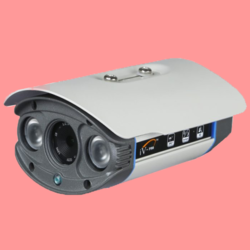 1.3 Megapixel 960p HD Resolution with SMT Array IR up to 20 Meters. We Are The Leading Manufacturer And Suppliers of this IP - C18W-iP2 – POE - 1.3 Megapixel Camera in South India Such As Thiruvallur, Chennai, Kancheepuram, Vellore, Thiruvannamalai, Krishnagiri, Dharamapuri, Villipuram, Cuddalore, Salem, Erode, Namakal, Perambalur, Nilgiris, Coimbatore, Tiruppur, Karur, Tiruchchirapalli, Ariyalur, Nagapattinam, Thanjavur, Thiruvarur, Nagapattinam, Pudukkotai, Dindigul, Theni, Madurai, Sivagangai, Ramanathapuram, Virudunagar, Tirunelveli, Thoothukudi, Kanniyakumari, Hosur, Rajapalayam, Puduchcheri, Kerala. This iV-Pro Model : iV-C18W-iP3-POE is a Pro Metal Outdoor 2.2 Megapixel 1080p Full iP-HD POE Security Camera with “ THE NEXT GENERATION SONY IMX 323 SERIES IMAGE PROCESSING SOLUTION” engineered to provide extremely crisp and clear images at minimal bandwidth. The Ultra Series includes a wide range of high performance IR Array cameras that are built to deliver exceptional video images with true vivid colors and wide and clearer night vision, thanks to the new Array IR technology that promises better results and a longer life span over any Cat6 Cable with iV-Pro s POE Switches which can achieve a distance of up to 100 Meters to 250 Meters including long distance transmission of up to 20 Kilometers using Fiber Optic Cables with iV-Pro s Fiber Port Switches. This iV-Pro Model iV-CA4R-VF-iP3-POE is a Ultra 2 Megapixel 1080p Full iP-HD POE Security Camera with " THE NEXT GENERATION SONY IMX 323 SERIES IMAGE PROCESSING SOLUTION" engineered to provide extremely crisp and clear images at minimal bandwidth. The Ultra Series includes a wide range of high performance IR Array cameras that are built to deliver exceptional video images with true vivid colors and wide and clearer night vision, thanks to the new Array IR technology that promises better results and a longer life span over any Cat6 Cable with iV-Pro s POE Switches which can achieve a distance of up to 100 Meters to 250 Meters including long distance transmission of up to 20 Kilometers using Fiber Optic Cables with iV-Pro s Fiber Port Switches. Manual Varifocal 3MP Zoom Lens from 2.8mm to 12.0mm. 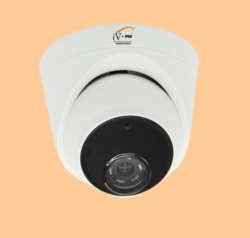 We Are The Leading Manufacturer And Suppliers of this IP CA4R- -VF- IP3 - POE - 2.0 Megapixel Camera in South India Such As Thiruvallur, Chennai, Kancheepuram, Vellore, Thiruvannamalai, Krishnagiri, Dharamapuri, Villipuram, Cuddalore, Salem, Erode, Namakal, Perambalur, Nilgiris, Coimbatore, Tiruppur, Karur, Tiruchchirapalli, Ariyalur, Nagapattinam, Thanjavur, Thiruvarur, Nagapattinam, Pudukkotai, Dindigul, Theni, Madurai, Sivagangai, Ramanathapuram, Virudunagar, Tirunelveli, Thoothukudi, Kanyakumari, Hosur, Rajapalayam, Puduchery, Kerala. This iV-Pro Model : iV-DA6FH-iP3-POE is a Pro Metal 2.2 Megapixel 1080p Full iP-HD POE Security Camera with “ THE NEXT GENERATION SONY IMX 323 SERIES IMAGE PROCESSING SOLUTION” engineered to provide extremely crisp and clear images at minimal bandwidth. The Ultra Series includes a wide range of high performance IR Array cameras that are built to deliver exceptional video images with true vivid colors and wide and clearer night vision, thanks to the new Array IR technology that promises better results and a longer life span over any Cat6 Cable with iV-Pro s POE Switches which can achieve a distance of up to 100 Meters to 250 Meters including long distance transmission of up to 20 Kilometers using Fiber Optic Cables with iV-Pro s Fiber Port Switches. We Are The Leading Manufacturer And Suppliers of this IP DA6FH - IP3 – POE – 2.2 Megapixel Camera in South India Such As Thiruvallur, Chennai, Kancheepuram, Vellore, Thiruvannamalai, Krishnagiri, Dharamapuri, Villipuram, Cuddalore, Salem, Erode, Namakal, Perambalur, Nilgiris, Coimbatore, Tiruppur, Karur, Tiruchchirapalli, Ariyalur, Nagapattinam, Thanjavur, Thiruvarur, Nagapattinam, Pudukkotai, Dindigul, Theni, Madurai, Sivagangai, Ramanathapuram, Virudunagar, Tirunelveli, Thoothukudi, Kanyakumari, Hosur, Rajapalayam, Puducheri, Kerala. This iV-Pro Model : iV-CA1FH-iP3-POE is a Pro Metal Outdoor 2.2 Megapixel 1080p Full iP-HD POE Security Camera with “ THE NEXT GENERATION SONY IMX 323 SERIES IMAGE PROCESSING SOLUTION “ engineered to provide extremely crisp and clear images at minimal bandwidth. The Ultra Series includes a wide range of high performance IR Array cameras that are built to deliver exceptional video images with true vivid colors and wide and clearer night vision, thanks to the new Array IR technology that promises better results and a longer life span over any Cat6 Cable with iV-Pro s POE Switches which can achieve a distance of up to 100 Meters to 250 Meters including long distance transmission of up to 20 Kilometers using Fiber Optic Cables with iV-Pro s Fiber Port Switches. 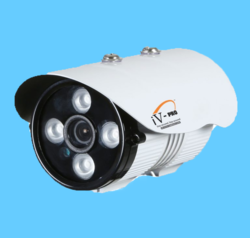 We Are The Leading Manufacturer And Suppliers of this IP CA1FH – IP3– POE – 2.2 Megapixel Camera in South India Such As Thiruvallur, Chennai, Kancheepuram, Vellore, Thiruvannamalai, Krishnagiri, Dharamapuri, Villipuram, Cuddalore, Salem, Erode, Namakal, Perambalur, Nilgiris, Coimbatore, Tiruppur, Karur, Tiruchchirapalli, Ariyalur, Nagapattinam, Thanjavur, Thiruvarur, Nagapattinam, Pudukkotai, Dindigul, Theni, Madurai, Sivagangai, Ramanathapuram, Virudunagar, Tirunelveli, Thoothukudi, Kanyakumari, Hosur, Rajapalayam, Puduchery, Kerala. Looking for IP CCTV CAMERA - 1.3 & 2.2 MEGAPIXEL ?